Is Regulation Key to Bitcoin Success, Online Gambling Acceptance? Home » Is Regulation Key to Bitcoin Success, Online Gambling Acceptance? Given the financial situation and the unbanked population in Africa, countries like Kenya successfully adopted a mobile system launched by Vodafone’s local subsidiary Safaricom in 2005. M-Pesa is now used by almost 17 million people to store money on their mobile phones, pay for food, or even buy electricity credits. 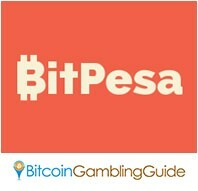 Today, M-Pesa is an instrument for the adoption of Bitcoin in Africa through the initiatives of BitPesa, a Kenyan Bitcoin remittance service. However, aside from BitPesa and the thriving Bitcoin market in South Africa, the rest of the continent is still yet to benefit from the cryptocurrency, especially with policies that fail to create a feasible regulatory landscape. This, unfortunately, is also the case for other countries when it comes to adopting Bitcoin not just for daily use, but also for online gambling. Is a regulatory landscape detrimental to adoption? The lack of a regulatory landscape is not the main reason that stops Bitcoin from becoming widely adopted by other countries, rather it is the old, existing policies that do not cater to the changes new technologies bring. A few countries have already expressed their disinterest in accepting the cryptocurrency by outright banning Bitcoin. Others like the UK, Canada and Germany, fortunately, are optimistic with how the digital currency can impact their economy and even updated their regulations to foster a dynamic environment. This friendly acceptance is also the key why people based in the three mentioned countries enjoy the benefits of Bitcoin gambling without violating any rules, apart from the fact that gambling there is in the mainstream. However, for countries where gambling is hampered by certain circumstances—namely, US, France, China and others—Bitcoin serves as the perfect solution. Online gambling has not legally seen the light of day in the US ever since the Unlawful Internet Gambling Enforcement Act. France, on the other hand, decided to leave casinos when it legalized online gambling for poker, horse racing, and sports betting. China is completely against gambling on the web. What people in these three countries have in common is the need to recognize Bitcoin as a legal means to engage in gambling online. The Bitcoin gambling industry continues to grow, welcoming more platforms like Bitcoin casino, sportsbook, lottery, and others. However, it is important to note that Bitcoin may only become the perfect solution once the government recognizes it as a legal means for people to purchase products, pay for services, and to wager on betting websites online. Of course, this is related to the country’s perception of gambling per se.